Generic - Rubber Regulator Gauge Protector Protect your delicate regulator gauges. 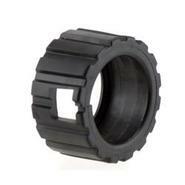 Gauge protectors are built to cushion shock due to rough handling. Fits snugly around the gauge.